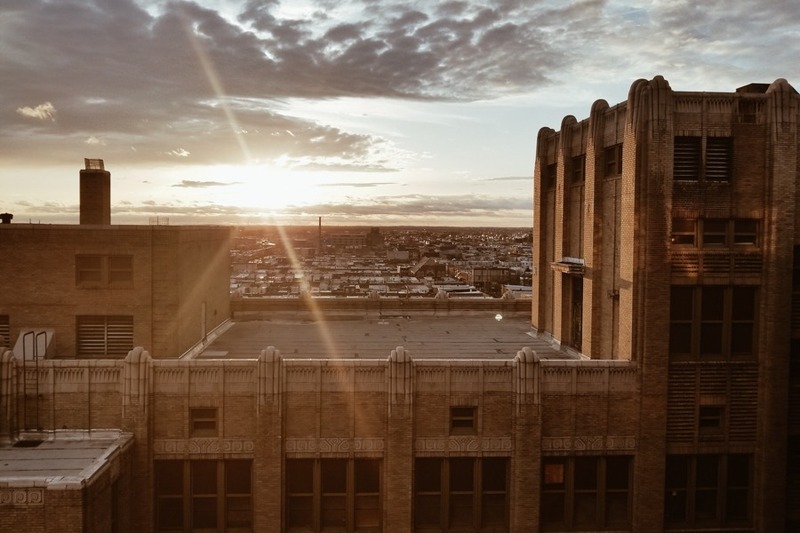 The best rooftop bar in Philly is still a ways away from its opening date (May 24th), but we’ve got the scoop on all the new food and drink goings-on in South Philly’s historic technical school–turned–makers’ space. “Bok is sort of a castle on a hill,” says developer Lindsey Scannapieco, so in an effort to increase transparency and invite people into the building, the team’s created a sort of lobby entrance at the rear of the building on Dudley Street — the same part of the building that is currently home to Firth and Wilson Transport Cycles bike shop, and will soon house new butcher shop/barbecue restaurant, South Philly Smökhaus. There, Whitney Joslin, an architect at NoLibs-based Kaminski + Pew, and her partner Adam Gery (who, for the last 17 years, managed the Last Drop Coffee House at 13th and Pine) will open Two Persons, a coffee bar (designed by Joslin herself) named after the book, Two Persons, penned by Edward W. Bok for whom the school was named. The cafe will carry and sell Lancaster-based Passenger coffee, plus pastries and snacks from their new neighbors, Machine Shop Boulangerie. Designs for the space feature a generous seating area — so, for all you office-less workers, this will likely be a great option. 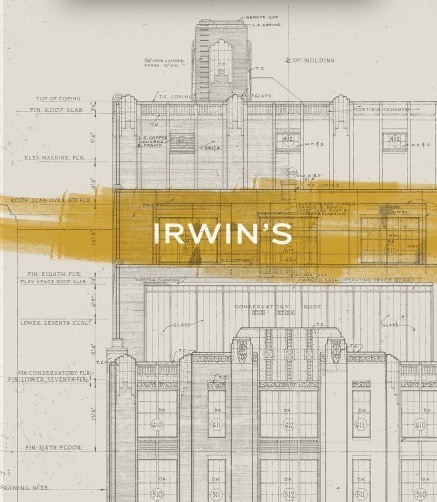 And on the opposite side of the building from Bok Bar, a new cocktail lounge called Irwin’s (named after Irwin Catherine, the prolific chief architect behind Philly’s public schools from 1920-1937) will open on the 8th floor with its own small terrace and sunset views. The Bok team is working with Best of Philly winner/vintage curator Rohe Creative to design a space evocative of the building’s art deco stylings — so, period furnishings, graphic patterns, and the like. The way Scannapieco sees it, Bok Bar is the neighborhood bar, and Irwin’s will go for something a little more upscale — still approachable, but with actual glassware and real plates. The drink list will be mostly classic — “Honest cocktails,” she calls it, “Drinks that won’t take 15 minutes to make: Sazeracs, Old Fashioneds, Negronis, etc.” And this year, chef Paul Garberson (previously of Fitler Dining Room) will take on food operations at both Bok Bar and Irwin’s: Middle Eastern street food at Bok — “food you can eat standing up” — like falafel and shawarma sandwiches, and bright, simple Mediterranean small plates at Irwin’s. Hours will go from 5 – 11 p.m. Tuesday through Sunday. Both the cocktail bar and coffee shop should open by the time Bok Bar opens on May 24th.